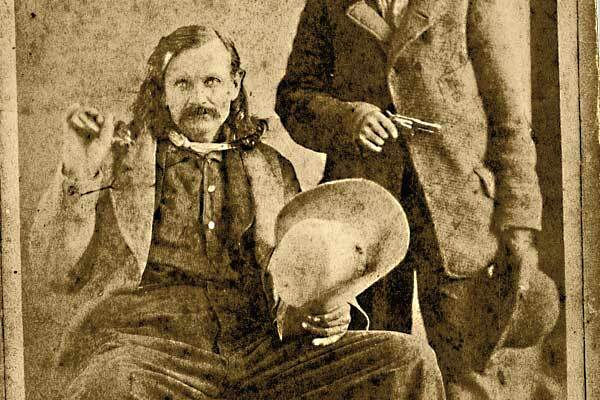 Hot Air & Kind Words The proper burial of “Buffalo Bill” Cody’s press agent, “Arizona John” Burke. 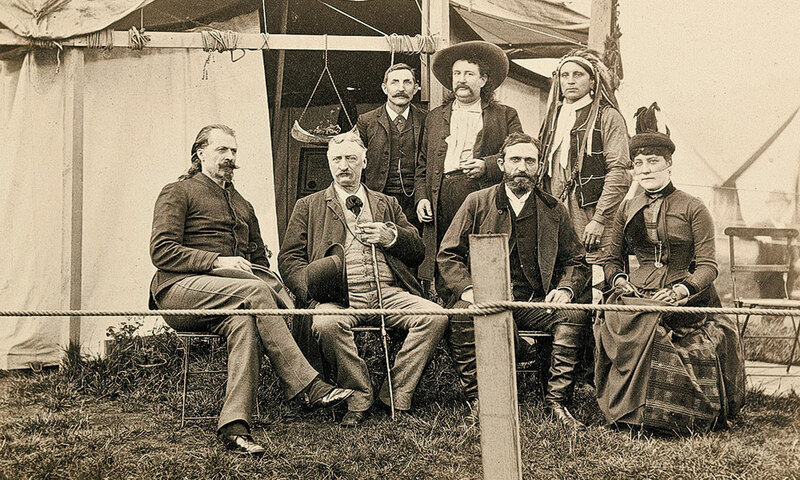 Press promoter Burke is shown wearing a cowboy hat in London, England, in 1887 with “Buffalo Bill” Cody (seated, far left) and manager Nate Salsbury (third from left). 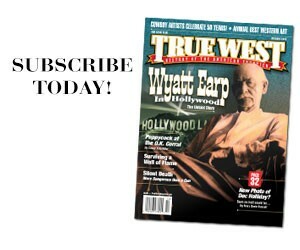 The “Prince of Press Agents,” a spinmeister in a Stetson—he made “Buffalo Bill” Cody a household word around the world. But chances are the name “Arizona John” Burke is unfamiliar. Burke’s ending is both sad and shocking. He died penniless and forgotten, buried in an unmarked grave, across the country from the frontier West he loved. Marketing executive Joe Dobrow, known most for his work at Whole Foods and Sprouts, decided to “right a historical wrong” and give Burke, the man who promoted Buffalo Bill from 1872 to 1917, the respect he deserved. 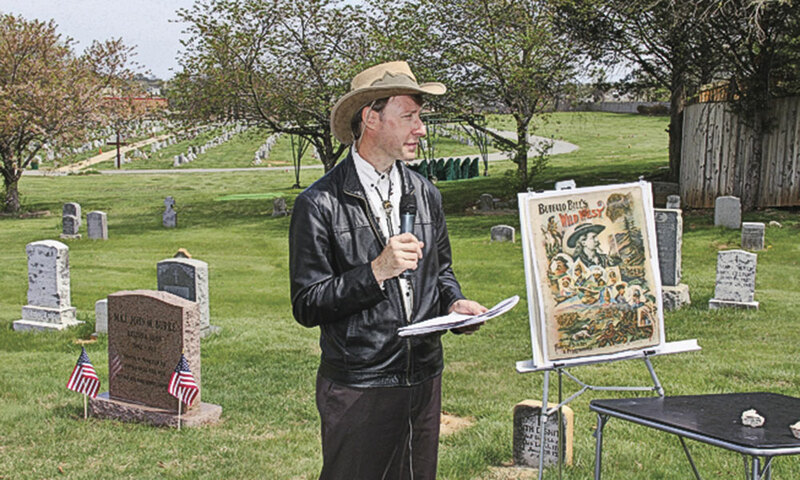 Joe Dobrow stands next to a Buffalo Bill Wild West show poster at the 2017 graveside event during which John Burke finally got a headstone over his unmarked grave. Dobrow got upset that the endings were so different for Cody and Burke, who died 92 days apart in 1917. In fact, Cody’s body was still awaiting its final burial—where to bury him was long unsettled—when Burke died on April 12. Some 25,000 people attended Cody’s funeral after his January 10 death. Many saw him buried on Lookout Mountain in Colorado on June 3. Burke died alone, put into an unmarked grave in Mount Olivet Cemetery in Washington, D.C. by the Benevolent and Protective Order of Elks. 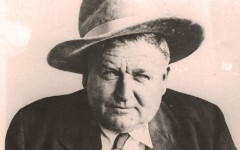 Nobody knew, as Dobrow discovered, that Burke had told the press in 1902 that he hoped to be buried in Wyoming’s Bighorn Mountains. Plus, the book wasn’t ready; University of Oklahoma Press will publish it this spring. “No,” says Dobrow, with a laugh, he never considered delaying the stunt until this April, on the 101st anniversary. After the Burke ceremony, Dobrow had a few hours to kill before his plane ride home to Arizona, so he visited the grave of Richard F. “Tody” Hamilton, the press agent for P.T. Barnum’s Greatest Show on Earth, who died August 16, 1916. He went to the Baltimore Cemetery in Maryland and looked up his grave. He also has no gravestone. Stay tuned. Justice for Jack Remember Jack Swilling’s Arizona legacy, not the suspicion of robbery that preceded his death. What is a needle gun?